Dentistry was one of the very first cross-industry adopters of 3D printing and over the years it has blossomed. Now, 3D printers are being manufactured specially for dentistry applications and material technology is rapidly evolving to cater to the dental needs. Digital Dentistry is upon us, and so is the future of dentistry. Let us have a look at the advantages of 3D printing for dentists. Wide-spread and ease of operation has led to this silent but substantial dental revolution. Technologically advanced 3D Scanners and the upgraded CAD software specifically targeted to the dental industry have helped in improving the overall experience of the dentists and led to universal acceptance of the 3D printing technology. Below are the four areas where digital dentistry has significantly made an impact. These are the important applications of 3D printing for dentists. Dental procedures require the use of drills majorly to remove tooth decay or to shape the tooth structure before insertion of a filling or a crown. This drilling procedure has to be highly precise as even a small eccentric drill stroke can lead to pain or at worst partial facial paralysis. A 3D printed surgical guide helps in this regard as they help in accurate drilling spots for dentists reducing the chances of painful procedures. 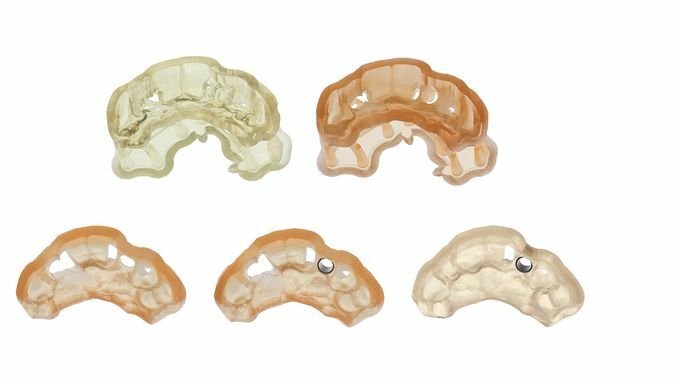 Another application of 3D printing for dentists is in the printing of crowns, which are widely used and are most commonly used parts in dental procedures. Crowns or bridges are the caps on top of the tooth which are used to correct the missing or damaged teeth. As teeth structure is different for different people a 3D printed crown can greatly reduce the time and cost of making such a unique part. A common procedure for creating dental orthodontic devices like retainers and splints are often costly and takes a lot of time. But a simple 3D scan of the mouth can directly convert it into a required 3D model via a 3D Printer. 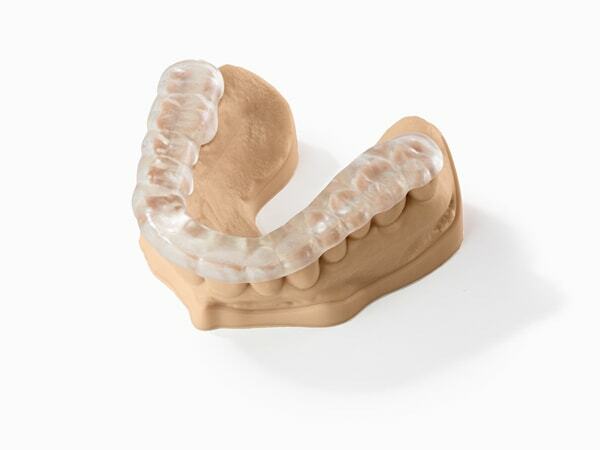 These devices can be directly printed in the dental clear resins or in metal as per the requirement. Research is being carried out for developing bio-compatible materials which can be used as an application rather than a guide. The new materials will allow dentists to print functional dentures thereby lowering the costs and simplifying the process. 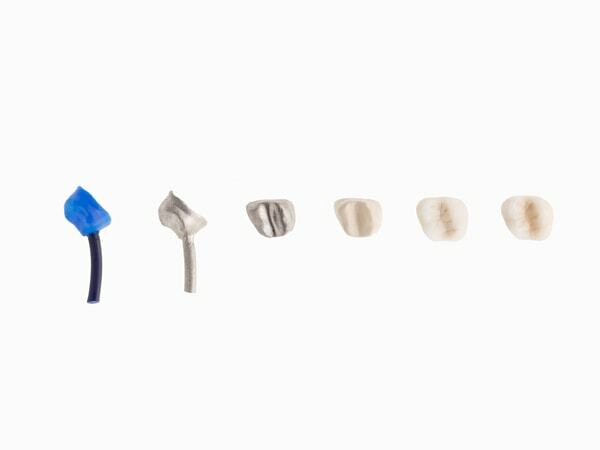 3D printing has pioneered the shift towards digital dentistry. This has made 3D printing for dentists, a great prospective market for printer and material manufacturers and it will surely drive the growth of the industry. The future will be focused towards 3D printing end products for real-world use.